From the purely functional wet cell of former times, the bathroom has progressed and been turned into a living space where we spend lots of time. Better quality of life, a new feel-good culture and a yearning for peace and tranquillity are all factors that now pervade the bathroom. 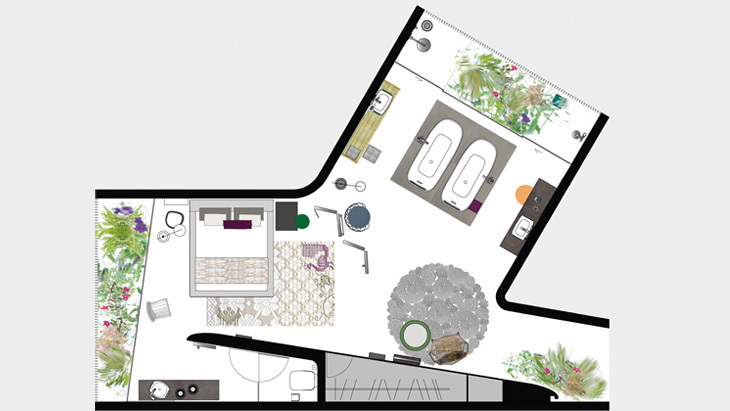 And since everyone defines “feel-good” differently, bathroom planning requires increased individualisation. 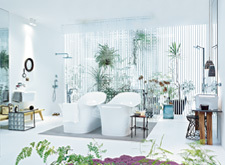 At Axor, ideas are exchanged between renowned designers and architects to produce many different types of feel-good areas – adapted to fit different lifestyles, room conditions and the aesthetic feeling. Going beyond the mere product and its pure self-cleaning functionality. 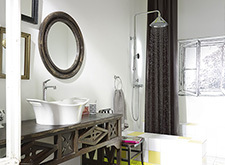 The right materials also contribute to a sense of “feel-good” in the bathroom. Cosy elements such as wooden floorboards, large windows and warm lighting create a homely atmosphere. 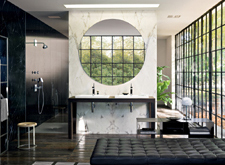 The organic minimalist bathroom creates a contrast between powerful shapes and sensuous materials, and is ideal for a variety of different room sizes. Design the bathroom as a place of relaxation which is capable of meeting even the most demanding customer requirements thanks to its level of comfort and its select materials. 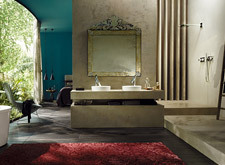 Bathroom inspiration from Axor: create a communicative space where bathroom and bedroom are interconnected. In the shower, modern showerpipes are ideal for a renovation because existing connections can be used for added convenience.